More than 100 people with diplomatic status in Canada have claimed asylum here in the last two years. Between March 2016 and April 2018, there were 30 cases involving 104 accredited foreign representatives, or their family members, seeking refugee protection. The statistics are included in quarterly protocol reports from Global Affairs Canada (GAC) that were released through the access to information law. The countries of origin for the refugee claimants are blacked out in the reports. Janet Dench, executive director of the Canadian Council for Refugees, said that since diplomats tend to move in "privileged circles," they're generally less likely to need asylum protection. But there are circumstances which could lead people appointed to serve their countries abroad to flee them, she said. A regime change at home could prompt diplomats to claim refugee status if they feel they could be targeted upon their return, she said. Diplomatic agents might also choose to bail on the governments they serve after learning that they're committing human rights abuses, she added. "People who are sometimes representatives of governments, who then speak out against that government, then become targets of persecution by that government." Members of persecuted minorities are sometimes given positions abroad in order to give a government a positive image on the world stage. They may choose to leave when they have the chance while on foreign soil, Dench said. A LGBT person who has not come out publicly for fear of persecution might claim refugee status in order to live freely in Canada, she added. But Dench said people with diplomatic status may seek refugee status for less legitimate reasons — in response to seeing their parties thrown out of power, for example, or out of a desire to escape prosecution for human rights abuses or other wrongdoing. "There are all kinds of ranges of reasons why somebody may be a refugee, even though they may have recently been a diplomat," Dench said. "At the same time, the Canadian government, or any other government that's looking at these claims, will be looking at them very closely to make sure the person is not someone who themselves committed such serious human rights abuses that they would not deserve refugee protection." Three Libyan ex-diplomats claimed refugee status after they were declared persona non grata and ordered out of Canada in May 2011. Reports at the time suggested the diplomats were expelled for trying to intimidate students and others in Canada opposed to then-Libyan dictator Moammar Gadhafi, who was later deposed and killed. Former Canadian diplomat Paul Heinbecker said most of these refugee claims likely stem from a change in the political conditions in the claimants' home countries — such as a change in government or a coup d'etat. Individuals might try to make asylum claims to avoid being called back home and thrown in jail, he said. "The diplomat, or diplomatic family or members of the embassy, may decide that they would rather claim asylum status in Canada than go home and hope for the best," he said. Immigration, Refugees and Citizenship Canada (IRCC) said it could not comment on any specific cases, but added the asylum process works to offer protection to people in Canada who have a well-founded fear of persecution, or are at risk of torture or cruel or unusual punishment, in their home countries. Each claim is assessed on merit and decided on a case-by-case basis by the independent Immigration and Refugee Board of Canada. "Under the law, anyone claiming asylum in Canada has the right to due process. 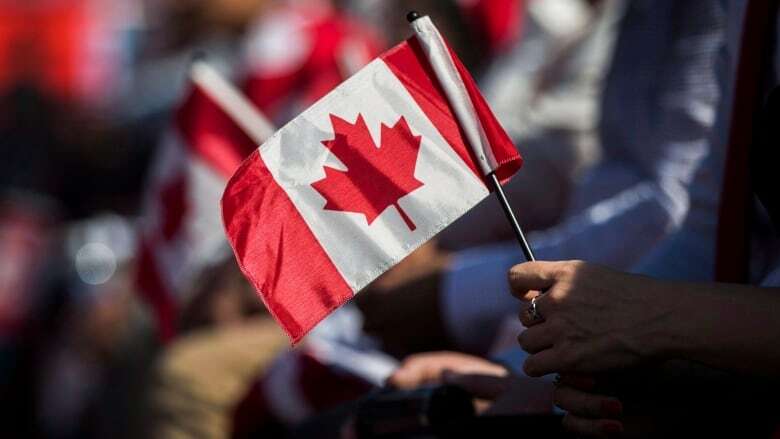 However, there are no guarantees that an asylum seeker will be allowed to stay in Canada at the end of this process," said department spokeswoman Beatrice Fenelon. The quarterly protocol reports on people with diplomatic status in Canada also cover incidents of alleged criminal or other wrongdoing, financial debt issues, child protection, vehicle-related infractions or other incidents requiring police response. They include cases of driving with a suspended licence, vandalism of an embassy, telephone threats against a mission and assistance with a mental health crisis. In December 2017, an ambassador to Canada was recalled by his government after two separate reported incidents of sexual harassment, neither which led to criminal charges. GAC's protocol office was advised by the director of its West and Central Africa division that the new ambassador "proactively expressed his dismay and embarrassment regarding the conduct of his predecessor." An ambassador to Canada was charged with assault. The son of a diplomatic official was charged with taking a vehicle without permission, fleeing while pursued by a peace officer, failing to stop at the scene of an accident and mischief to property. An ambassador was stopped and ticketed for careless driving. Local police approached GAC's protocol office about a possible human trafficking case. Complaints included allegations of underpayment, overwork, lack of food and basic health care, verbal and physical abuse, the withholding of personal documents and restrictions on movement outside of the official residence.